A professional SEO consultant on how to scale content production (in particular for eCommerce websites) while still maintaining quality standards and complying with Google’s E-A-T. Learn how to use Edge SEO to implement SEO changes without coding or requiring developers to change your backend. 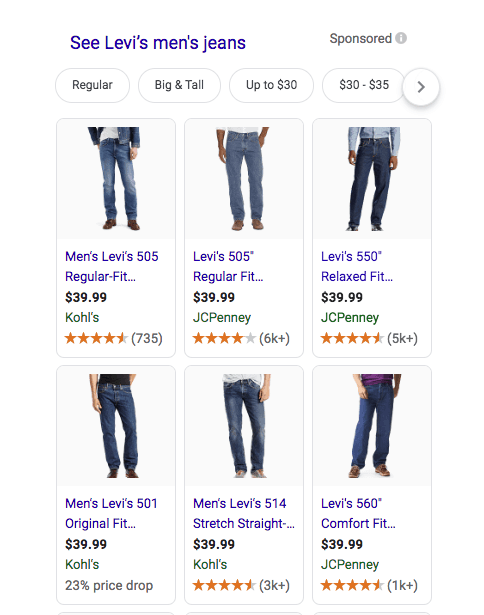 Are eCommerce companies too reliant on paid ads? Will they saturate their market? Our paid marketing team weighs in on these questions. Are eCommerce brands too dependent on paid advertising? This is an assertion that has been floating around in marketing and startup circles lately. In particular, we’re seeing a slew of new venture-backed eCommerce startups emerge with a glut of investor cash available to spend aggressively on advertising. This was also the central premise of an article from Andrew Chen, who is a general partner at Andreessen Horowitz, a Silicon Valley venture capital firm. He argues that many companies die from their over-reliance and addiction to paid marketing channels. Is paid marketing a dubious channel for eCommerce companies? This is an important question to ask. Since we’ve helped hundreds of eCommerce brands over the last decade grow via paid and non-paid channels, we have a unique perspective to share with the eCommerce community. In short, while we agree with Andrew on a couple of smaller points, based on our experience, we feel that most eCommerce brands shouldn’t worry about an overreliance on paid marketing as long as attribution is properly accounted for and return on ad spend (ROAS) is monitored. A key component of this “overreliance on paid marketing” argument is that a company needs to have an accurate measure of each channel’s Customer Acquisition Cost (CAC) and that simply monitoring “blended” Customer Acquisition Costs (CAC) is dangerous, as it can lead companies to waste thousands — if not millions of dollars — on unprofitable ad spend. While Blended CAC means slightly different things to different people, in general, it refers to just tracking a single number for acquisition cost that is total sales divided by total marketing costs. Obviously, this leads to the danger of profitable channels obscuring the existence of unprofitable channels. For example, if a company was losing money on Facebook ads in a given month, but had their product picked up by Good Morning America and got a bunch of sales that way, their overall company CAC could look good. It would hide the fact that Facebook ads were not profitable (or not as profitable) as they think. But, this problem isn’t an issue as long as you’re looking at CAC by channel. And in our experience, the vast majority of eCommerce companies today do this already. So we have an extremely detailed understanding of ROAS along all paid acquisition programs down to specific ads and attributes. We recommend all eCommerce companies think of CAC and ROAS at this granular of a level. 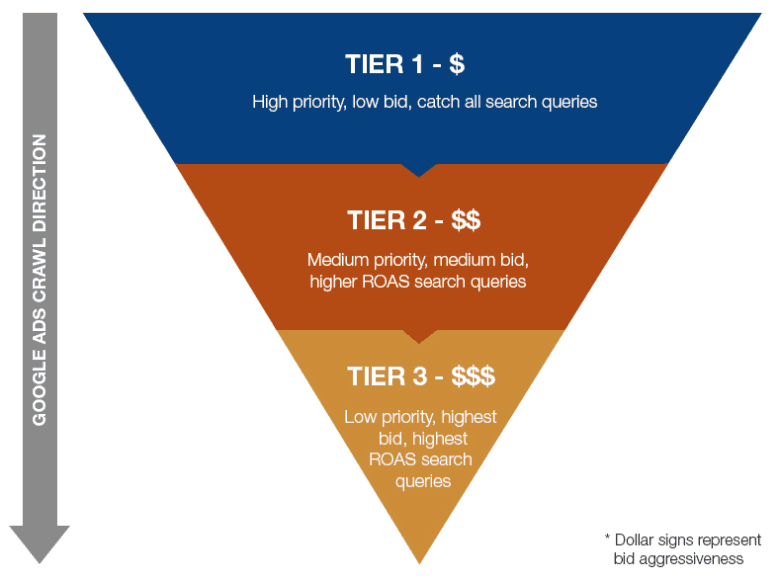 Because this depth of understanding lets you do things like lower cost per acquisition (CPA) from $47 to $9 in a Google Shopping program and develop best practices for how to compose adwords ads for the highest ROAS. So, while blended CAC isn’t an issue, there is another attribution problem that many eCommerce brands fall victim to that we’ll explore in the next section. One mistake we do see eCommerce companies make, however, is just looking at last-click attribution in Google Analytics. This is the default attribution for Google Analytics. The role that paid ads take in a customer’s entire journey with your brand. Last-click attribution makes it seem like your customer acquisition is linear, takes place on a single device, and then gives all the credit to the last touch point. A customer sees an ad. Then, clicks the link and buys from there. If they buy immediately, the ad gets credit. 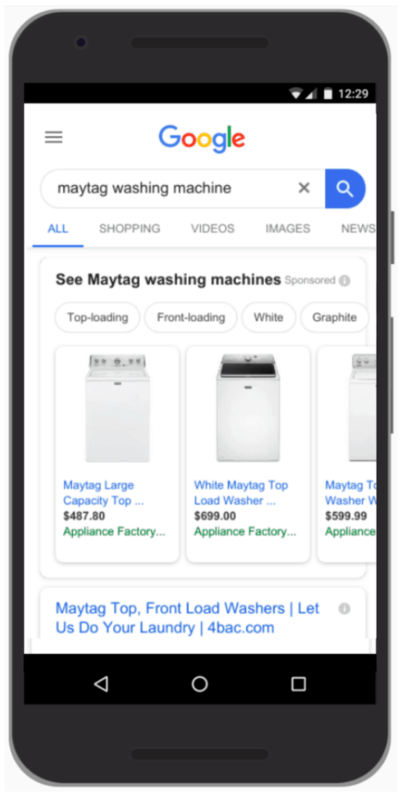 If they later come in via the homepage or organic search and buy, then the ad would get no credit under the last click attribution model. Obviously, this framework is extremely limited. In today’s market, most customers will have multiple touchpoints with your brand before they buy. The average customer may click on your ad, read a few of your tweets, check out some product reviews and then Google their way to a blog post (Note: We’ve shared multiple case studies on eCommerce blogging and content such as buying guides helping with sales) – all before they ever make a purchase. When you look at it from the lens of last-click attribution, the blog post will get credited with the sale. The reality is your paid advertising, social media and content all assisted with that sale. One way to improve your view of the role these multiple touchpoints play in “assisting” with the ultimate conversion event is by analyzing sales via one of several multi-touch attribution models. Multi-touch attribution is not perfect, as it still doesn’t account for cross-device touches (i.e. 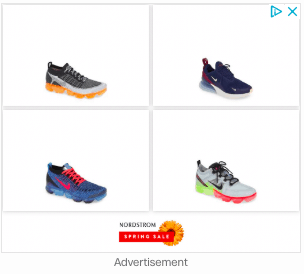 if someone click an ad on their phone then later buys on their computer, you won’t know it was the same person and that the ad contributed to this sale), but it’s a clear step up from last click attribution. Here is Google’s explanation of their different attribution models. Even after properly calculating acquisition costs, understanding attribution, and ensuring that each paid platform, ad campaign, or even each ad is profitable and meets your company’s target ROAs, the “over-reliance on paid marketing” theory argues that eventually, as you try to scale paid channels, your ad costs will grow. We think this worry, that you may “saturate” your market, should not be a big concern for the vast majority of eCommerce companies. First, many eCommerce companies are selling products that have a steady and consistent demand from new customers. For products like this, you can use paid marketing to consistently get in front of new waves of consumers looking to purchase your products. Second, as we mentioned above, there are so many digital touchpoints today (versus when Dropbox was testing paid ads 10 years ago, as in Andrew Chen’s article), that viewing paid marketing simply as a direct, last click acquisition channel and nothing more is not sound. In many industries, consumers need to see and build trust with brands before deciding to purchase. They want to compare brands. They want to educate themselves about products. They want to read reviews and see social proof. All of these touchpoints can be aided with paid marketing. Thus, we feel that a holistic paid marketing strategy for any eCommerce company will involve getting in front of the consumers in all of these situations. As you spend more and more, are there diminishing returns from a ROAS perspective? No doubt. But will most brands really saturate all paid channels and not be able to find as profitable channels to spend more capital? We think this is highly unlikely. Of course anything is possible. If you truly have enormous amounts of investor capital waiting to be spent, perhaps you’ll reach saturation. But even after working with hundreds of eCommerce companies for over a decade, we haven’t run into it. We argue that for the vast majority of eCommerce brands, you are unlikely to hit 100% saturation levels. Instead of pondering it, focus on improving ROAS. 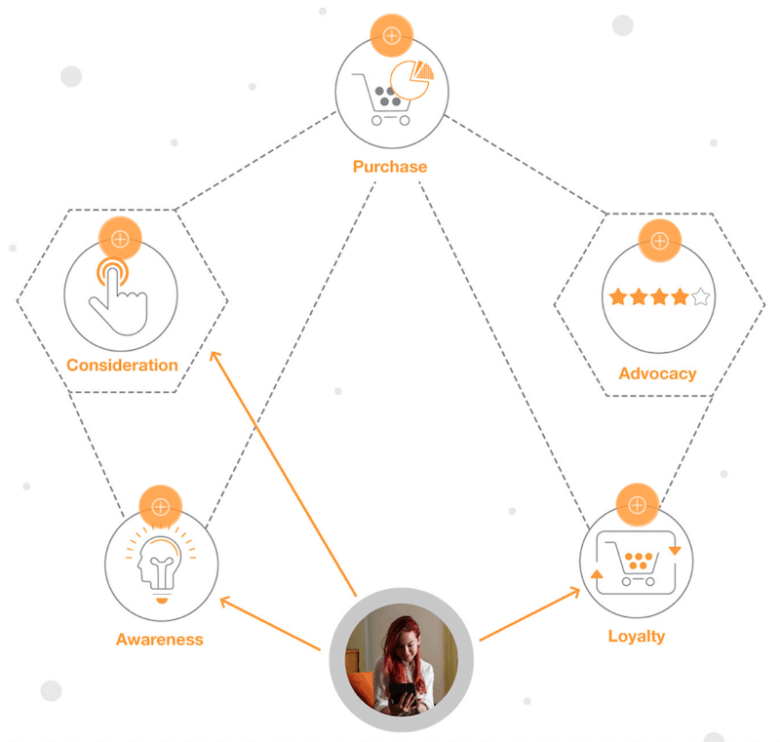 This includes attribution modeling and understanding all of the assisted conversion touchpoints that your customers have before they buy from you. Want a custom in-depth assessment of your paid marketing performance? Contact us to get started. We discuss all the factors you should consider in choosing an eCommerce platform from the perspective of SEO. This advice is based on experience optimizing SEO for hundreds of eCommerce companies. Would you switch to a new eCommerce platform if you knew it would throw off your entire fulfillment operation? That’s a rhetorical question; of course you wouldn’t. But in our experience in optimizing SEO for hundreds of eCommerce brands over the past 11 years, we’ve noticed some similarly poor habits when it comes to selecting an eCommerce platform. Too often, companies are happy to migrate to a hosted eCommerce platform without any clue how it will affect the SEO strategy they’ve been using for years. This results in a decision process that becomes upside down. Companies that don’t weigh SEO functionality end up choosing the wrong platform for their SEO goals. This article is meant to help you mitigate or avoid this mistake. Rather than finding the platform you like, crossing your fingers, and hoping for the best for your SEO, you can use the information below to try to understand the potential SEO functionality of hosted and self-hosted eCommerce platforms first. The methodology behind this list is simple: There are a variety of different knobs you can turn on within your site to improve SEO performance, such as setting the canonical URL of a specific product page. Whether an eCommerce platform lets you control each of these features will affect your ability to make changes that can improve organic search rankings. The list here is based on our experience turning these knobs and improving SEO performance from multiple approaches for many clients over the years. Below, we discuss each site control feature, why it’s important for SEO, and how hosted versus self-hosted eCommerce platforms differ in your ability to control the features. What are hosted and self-hosted eCommerce platforms? The key distinction that often separates one eCommerce platform from another is whether it’s hosted or self-hosted. Hosted platforms are essentially “turnkey” solutions intended to provide a straightforward infrastructure for your eCommerce. Advantages include ease of use, site stability, and speed of implementation. Disadvantages tend to result from limited control over individual SEO variables like Robots.txt. Examples include BigCommerce; Shopify; Salesforce DemandWare/Commerce Cloud. Self-hosted platforms, which include many popular open source platforms, are more freeing (and challenging) because you’ll have more control. While controlling the development yourself makes it more difficult to get a shop up and running, you’ll have more SEO advantages such as access to log files (depending on which platform you’re using; WordPress may not give you access to log files), easier batch uploading, and control over elements like canonical tags. A customer’s bounce probability increases 32% for a page that takes 3 seconds to load over a page that takes just one second to load. But it’s not just about bounce rates anymore. When Google announced that Page Speed would factor in search results, the speed of your site became a major SEO factor. To accomplish goals like achieving a 100/100 Page Speed score with Google, you need the ability to control many aspects of your site. For example, we’ve experimented with embedding CSS in-line rather than in HTML and loading external scripts asynchronously. Leveraging browser caching to incorporate visuals without sacrificing load time. If you’re working on a hosted platform, you generally won’t control this. Optimizing your image sizes to minimize load time. Here, almost all platforms will give you that control. Scaling images for separate mobile and desktop experiences. Hosted platforms generally don’t give you this ability. If you’re obsessed with site speed and beating the competition, a hosted platform simply won’t give you the functionality you need. The trade-off in controlling your own site speed: that you’re also responsible for handling more bandwidth. If your store was suddenly featured on “The Ellen Show,” would you be able to handle the influx of traffic? On a platform like Shopify or BigCommerce, you probably could, and more importantly, getting the infrastructure in place to handle spikes like that is the host’s problem, not yours. 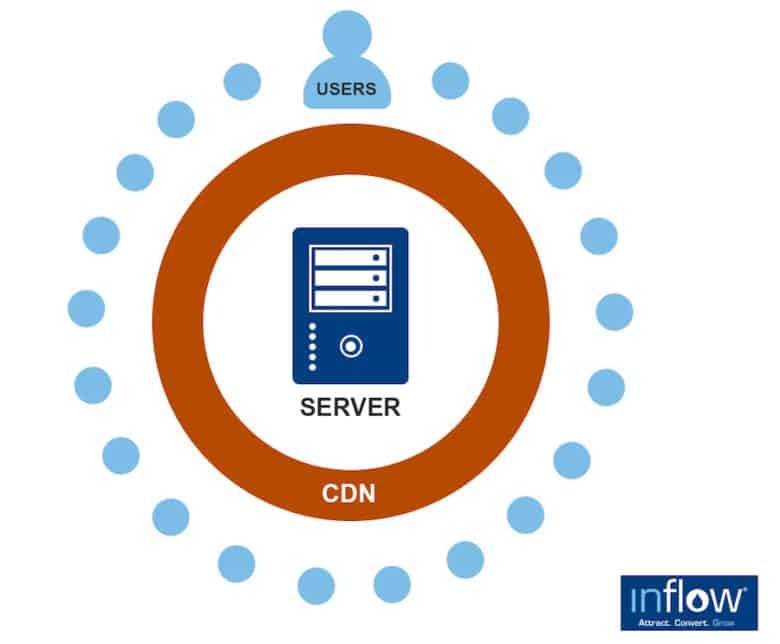 (Although you may still need to work with your hosted platforms to ensure you can handle the traffic, it’s generally easier to handle with hosted systems when you do). If your store is self-hosted, you likely need additional preparation time before going viral. If you ever find yourself with a large swath of redirect, meta data, or product page problems, batch uploading may be the only way to fix each individual page in one fell swoop. Batch uploading helps fix sweeping problems such as problematic redirect pages or broad swaths of meta tags that need changing. If you can’t batch upload SEO solutions like these without interfering with your site’s functionality, you’re in for some headaches. For batch uploading on hosted platforms, you’re at the mercy of your plugins. Failing that, a hosted platform will require you to upload each individual file using a web interface. We want to avoid that for obvious reasons. Before you conclude that a plugin is a simple thing, remember that you have to weigh price and the risk of unintended consequences before you acquire a plugin. I’ve personally come across a plugin that promises to handle everything from batch uploads to redirect analytics. Sounds great, right? More analytics means more insight into your site. The problem with that plugin was that it would conduct redirect analytics by running traffic through their URL – creating redirect hops through another domain – which is less than ideal for your SEO. I wanted batch uploading; the plugin promised that and a whole bunch of negative SEO consequences I didn’t want. If you plan to incorporate a lot of sweeping changes that require batch uploading, make sure that your hosted platform has an effective plugin available before you make the switch. In a self-hosted eCommerce solution, batch uploading will require having a developer on hand who can give you a solution specific to your uploading needs. Canonical tags help you tell Google which page on your site is the original source of information, or the “master copy” of your page. Essentially, Google allows you to consolidate duplicate URLs by designating your “canonical URL.” This results in a consolidated site with targeted pages to which you want to direct SEO attention. Your inability to control canonical tags means you could end up with a large number of pages that Google essentially sees as “canonicalized to themselves” – even if/when they aren’t true canonicals. This lands the customer on a unique product listing page like /alltables?shape=round. That’s fine for the customer. But if that page has the same essential content as the /round-tables category page, you risk diluting the content when it comes to Google’s priorities. 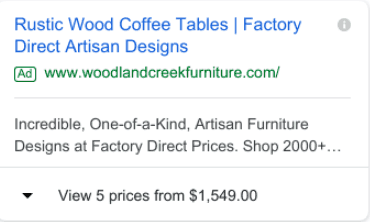 In that use case, we would want to canonicalize the “/alltables?shape=round” to the /round-tables category page so the /round-tables continues to garner positive attention from Google. Keep in mind that with hosted platforms like Shopify, you generally won’t have this control. You may be able to employ fancy workarounds with the help of a senior developer. Failing that, the existing plugins for hosted solutions are lacking, which is why you would need a developer to handle complicated changes. If you’re a small company, these use cases can be complex and you won’t always have to worry about them. But the more sophisticated your SEO needs are, the more you’ll need this type of control in the future. Most in SEO are familiar with what control over Robots.txt means, and we’ve previously addressed whether to index internal site search URLs. This is another essential avenue of control for eCommerce, allowing you to guide search engine bots as they crawl your site. The most important function is usually telling search engines where not to crawl, which helps preserve precious crawl budget, and avoid consequences as a result of duplicate content. Self-hosted platforms tend to give you more control here, allowing direct editing of your own Robots.txt. Platforms like WordPress, Craft Commerce, and BigCommerce will allow you to edit Robots.txt, while Shopify limits your access. If you host your own site, you can expect as much control as you’d like. Your sitemap is a simple document that you use to show search engines. It’s a literal map of your site the search engines can use for reference. The HTML version is typically for the user, a list of links (hopefully with an intuitive visual display) to guide them around your site. An XML sitemap is essentially the same thing, but formatted specifically for search engines. Simple enough, right? The wrinkle: you don’t want an eCommerce platform to automatically generate a sitemap that simply includes every possible URL on the site. This might result in a sitemap with the wrong pages, including non-canonical pages, non-indexable pages or pages that are non-functional (e.g. 404 & 500 errors.) We’ve found it important to present a consistent front to Google regarding whether you do or don’t want content crawled and indexed. Regardless of platform type, the XML sitemap may be implemented by default or may require a plugin. There are cases for each in each direction; WordPress needs a plugin but it’s a default in Shopify. However, you may need a Shopify plugin to alter functionality since all pages are included by default. As with hosted eCommerce platforms, you’ll find that the sitemaps can vary wildly in functionality depending on the quality of these plugins. The key is to test this functionality to ensure that only functional, canonical, & indexable URLs are included. Except rather than using this code to watch Keanu Reeves learn Kung Fu, you’re watching every single interaction—bot or human—that happens at your website. As you might imagine, this data can be essential to SEO. Access to your log files lets you uncover 404 errors, discover where Google’s robots are spending the most time on your site, and retrieve the information you need to edit your sitemaps, your Robots.txt, and your other directives. There’s a stark difference between hosted and self-hosted eCommerce SEO when it comes to log files. You’ll generally have full access when you host yourself (with the exception of WordPress, which may not give you access depending on how you host); with hosted platforms, you’ll generally have either zero or limited access to log files. In fact, it’s sometimes so hard to get access to your log files that BigCommerce once told us we needed a legal order to have log file access. That’s not a joke. How you break up your individual product pages will have a major impact on your SEO. Ideally you’ll want to use SEO best practices like rel=”next” and rel=”prev” to show bots what’s happening. Regardless of the type of solution you have (self-hosted vs. hosted platform), getting the details right here can be complicated, especially when plugins are involved. Make sure you test your functionality prior to going live and fix any issues you come across. For example, one common plugin—an infinite scroll plugin—can be great for the user, but can interfere with your pagination. Be wary about implementing an “Infinite scroll” feature on an eCommerce platform until you’re sure how it might affect your SEO and conversion rate. If you need to implement custom pagination solutions to optimize your SEO, you’ll find that you might need more control. There’s good news here for anyone who doesn’t already do a lot of blogging: you can use platforms like Shopify and BigCommerce for limited blogging needs and you likely won’t run into many problems. The bad news: if you have a huge amount of content to migrate or plan on making blogging a major part of your ongoing strategy, and especially if you like to customize your blog and content significantly (certain pop-ups, certain styles, etc. ), you’re probably going to want to use WordPress. Why is this a problem? If you’re using a hosted eCommerce platform already, it may require you putting your blog on a subdomain, which would dilute the effectiveness of your content (and the pages they link to) for SEO. This is a real challenge for those with a robust content program that want to move to Shopify and BigCommerce, where the subdomain workaround is the only real solution available. After all, what’s the purpose of content marketing? If you receive a lot of links, you want that viral “win” to give your page a lot of search engine authority. Spreading this authority too thinly across your primary domain and subdomain can decrease the returns from all your hard work. Software breaks. Sometimes, it breaks in unexpected ways. That’s the nature of software. 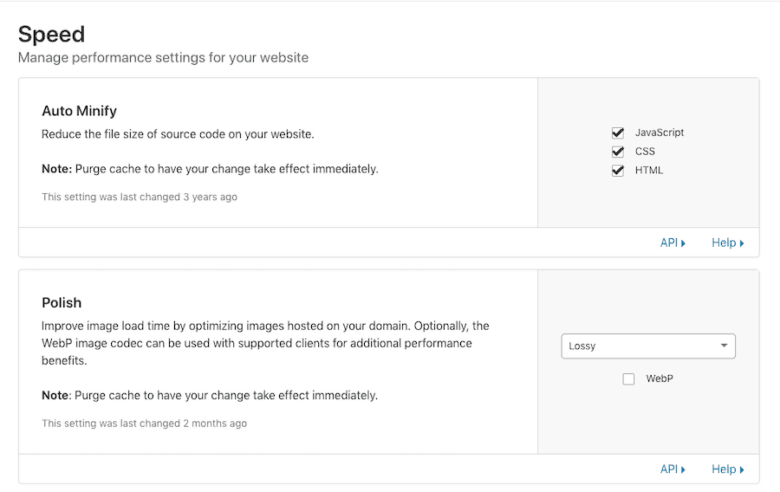 A stage environment lets you make changes in a “safe” environment, running QA tests to ensure that any changes you made work as expected without breaking anything else on your site. This way, you won’t introduce new issues on the live site where both your site visitors and Google might see them. It’s a lot more work to fix these issues when they’ve gone live than if you identify them beforehand. Setting up a stage site is possible with any type of site you have. But it can be somewhat more challenging depending on your platform or host. Sometimes, it can also be more costly. With some fancy footwork, you can set up Shopify for a stage environment. For BigCommerce, the costs and complications tend to be high enough to make it infeasible. With self-hosting, more control over the stage environment can sometimes reduce costs over platforms like BigCommerce and give you more control. Control: How much do you need and how much do you want? Controlling your canonicals, your pagination, and your Robots.txt can have a dramatic impact on your SEO. On the other hand, having more control can mean more opportunities to make big SEO mistakes if you don’t know what you are doing. Self-hosted platforms are easy & stable and do most of what you need, while limiting your ability to shoot yourself in the foot. But that’s the tradeoff: “can’t shoot yourself in the foot” also means you can’t really be excellent. And if you—or someone you work with, like Inflow—knows what they are doing, this can be limiting / frustrating (like a life on training wheels). Your infrastructure: Do you have the development team that can give you workarounds that support faulty plugins? Do you need regular access to your log files? If so, you might want to think about self-hosting. Your strategy: Where do you most anticipate receiving organic search traffic? Be honest with your priorities. For example, if you don’t have definite plans for ambitious content marketing strategies, you may get away with using the blog functionality of Shopify or another hosted platform. The key takeaway: ask these and other similar questions first. Don’t decide on a platform just yet. Decide what you want. If you know your priorities, you’ll save yourself constant SEO headaches in the future. Note: Do you want to get clarity on the best SEO solutions for you? We can help you make these key decisions. Contact us here. In some situations, additional backlinks won’t do much for your rankings. Here’s how to know if backlink building is the right move — and other tactics to use when it’s not. Link building is important, but, we’ve found from helping hundreds of eCommerce sites with their SEO, that for many sites with good domain authority and a solid foundation of existing backlinks, there are other tactics that can often move the needle better or faster than link building. In fact, for some websites, we recommend not spending time just building general backlinks. When we’ve worked with companies like these, we’ve instead spent time on other, non-link building SEO tactics and have generated nice results. In this article, we discuss how to determine when to focus on link building vs. when not to. Then, we outline the other tactics besides link building that we often deploy on eCommerce sites that have yielded good results. Note: If you’d like to talk to our SEO experts about whether they’d recommend link building or other SEO tactics on your eCommerce store, contact us here. First of all, it’s important to remember that acquiring many high-quality backlinks is still foundational to achieving a high SERP ranking. For newer sites, building up high-quality backlinks should be one of the very first things you focus on. To rank on the front page of Google, you usually need at least one high-quality backlink. But at some point, aggressive link building could yield diminishing returns because the site may already be attracting links to quality content passively. That’s not to say there’s no place for ongoing creation of new content that also continues to attract links. But investing resources in additional aggressive link building may not be the best use of their time and some of the alternative SEO tactics discussed below may yield a higher business ROI for the company. Domain Rating (DR) in Ahrefs is an estimate of your site’s reputation in the eyes of Google’s search algorithm. It’s not a perfect measure, but it will give you a sense of the strength of your backlink profile. The same is true of similar metrics such as Moz’s Domain Authority (DA). Generally speaking, the higher your DR or DA, the more high-quality backlinks, and linking root domains you have. For the purposes of this article, it’s actually quite telling to look at the distribution of sites in different DR ranges and how many referring domains (links from unique domains) that sites in each range have, on average. The most important thing is the number of referring domains you must acquire to continue improving your DR, which is the number in parenthesis in each line (the “N domains” next to the DR is the number of domains that Ahrefs has indexed that have a DR in that range). You can see that as DR increases, the number of additional referring domains you need to move to the next tier of DR grows exponentially. For example, sites with DR 6 – 10 have on average 30 referring domains, and the tier just above it (DR 11 – 15) have on average 44 referring domains. That’s a difference of 14 linking root domains. But that difference keeps growing as you go up in DR.
Look at the difference between DR 86 – 90 and DR 91 – 95. Sites between those two DR ranges have, on average, a difference of 600,000 referring domains! So, this begs the question: if you already have a large mass of high quality backlinks from a variety of linking root domains, is an SEO strategy that can be summarized as “Let’s just keep building more links” really the best use of resources? It may not be. SEO is complex, so of course there are certain situations that call for more link building, but in this article, we want to challenge eCommerce marketers, directors, and founders to think beyond the view of “link building is always most important”. As we explain below, you can often find lower hanging fruit by thinking more strategically about how to deploy SEO resources. To be fair, you may end up deciding that building additional backlinks to certain pages is the best use of time, but even if so, that is a far more strategic approach than just focusing on link building as the be all end all of your SEO strategy. Knowing the above concept of diminishing returns, we first check to see how many backlinks and referring domains an eCommerce site we start working with has. What we’ve found is that many established online stores with high-performing content often already have organically attracted plenty of backlinks, so spending our time doing manual link building for them likely isn’t the best way to increase organic traffic. For example, Moving.com has done a lot of great blogging and therefore has a variety of foundational and strategic content designed to optimize their SEO. Using Ahrefs, we can see how their content strategy has helped them acquire nearly 10 million backlinks from 10,400 referring domains with 91% of them coming from dofollow links, giving them an Ahrefs DR of 83. As we see from the table above, with a DR of 83, sites in the higher DR tiers have, on average, tens of thousands (or for even higher tiers, hundreds of thousands) more backlinks than Moving.com. How is our link profile and site quality (DR, DA) relative to our competitors? How much effort would it take to build the amount of backlinks necessary to equal or outperform competitors by moving up to higher DR ranges? In the example above, anyone who has done link building knows that tens of thousands of backlinks is non-trivial. So this would be a good situation to explore other SEO tactics and site optimizations that could boost SEO results, and give us a greater ROI on time and resources spent. As a final note, make sure to check where your backlinks are coming from. One very easy way to optimize your SEO is to see if you have any broken referral (incoming) links and if there are any significant clusters of links originating from the same IP range. Fixing these small issues can greatly enhance the SEO of your eCommerce site. Again, if you want us to look for you, feel free to reach out. At Inflow, we often refer to two types of content types on eCommerce sites: foundational and strategic. Foundational content refers to key pages in your store—like product and category pages. Strategic content, however, are pages where you’re strategically targeting mid to long tail keywords that aren’t best represented by a foundational page in your store. This content can come in a variety of forms: blog posts, buying guides, infographics, videos, resource sections — whatever fits your audience and brand the best. Good strategic content resonates with your target audience(s), educates them, and builds trust in your brand. The key is that the content is strategically designed to rank for certain mid to long tail keywords that your foundational content (product and category pages) are not or cannot rank for (because including those keywords on product and category pages, for example, may not make sense). At Inflow, we often look for keyword gaps as opportunities to create strategic content. One way to find keyword gaps is by conducting keyword research on your competitors to see what keywords they rank for that you either don’t rank for at all or don’t rank as highly. While these keywords will typically have a lower search volume, they will let you rank for terms that your target customers are searching for but your foundational content would not otherwise rank for. Think about a yoga store wanting to rank for “how to do sun salutations” — their yoga mats, yoga clothing, or yoga accessories product or category pages are likely not going to rank for that, but a blog post could. So while just general, active link building may increase the overall rankings of all keywords you rank for, often strategically creating content to go after new, specific keywords that your target customers are likely searching for could give you better ROI on your SEO efforts. Finally, these new strategic content pieces can often be crafted to attract natural links – e.g. data-based or resource-based blog posts on a keyword gap you identify. These types of content pieces often attract links naturally over time, without you having to spend time proactively finding link building opportunities. One of the very first things we do at Inflow during our content audit process is to locate and weed out any low-performing pages that may be lowering the overall “quality” of the website. While Google continues to remain secretive about what variables affect a site’s search engine ranking, we know that having a significant number of low-quality pages will damage your SEO. Often, we’ll have new clients come to us with thousands of pages that generate little to no organic search traffic and in many cases have little to no value to users. This is content that does nothing but damage their search rankings. Using the Cruft Finder Tool we found that one of our eCommerce clients had over 38,000 useless pages on their site — 90% of which we ended up removing entirely. Sometimes, the answer isn’t as easy as removing the page from your site. If the page in question is strategic content or vital to your online store, we’ll either “improve” or “consolidate” it. Improving a page can be as simple as republishing that piece of content or increasing the number and variety of the targeted keywords. If there are multiple pieces of content on the same or similar topics, we will consolidate them into one big authoritative post. Finally, we often look to see if we can improve the internal linking architecture of an eCommerce client’s site to strategically improve the rankings of high converting pages which also have an opportunity to drive more organic search traffic. Here are a few reasons you might undertake an internal linking strategy for your site. Improve your site’s architecture; ensure good link equity is being fairly spread across important pages to the site. Increase the number of links to high priority pages – in general, the more internal links a page has, the higher its relative value to Google. This could include product pages, category pages, Page 2 Opportunities (see below), high revenue pages or new pages being launched. You have page(s) that receive a lot of organic search traffic and/or attract external links, but the page(s) have little conversion value. By strategically placing internal links from these pages to relevant “money” pages, you can create more value from those pages as well as funnel some of the “link juice” to these pages as well. You want to remove internal links because pages (typically in the header and/or footer) are sending internal link juice in too many directions. Wayfair recently reduced the number of internal links on certain page types and it resulted in a 10% increase in Organic traffic. 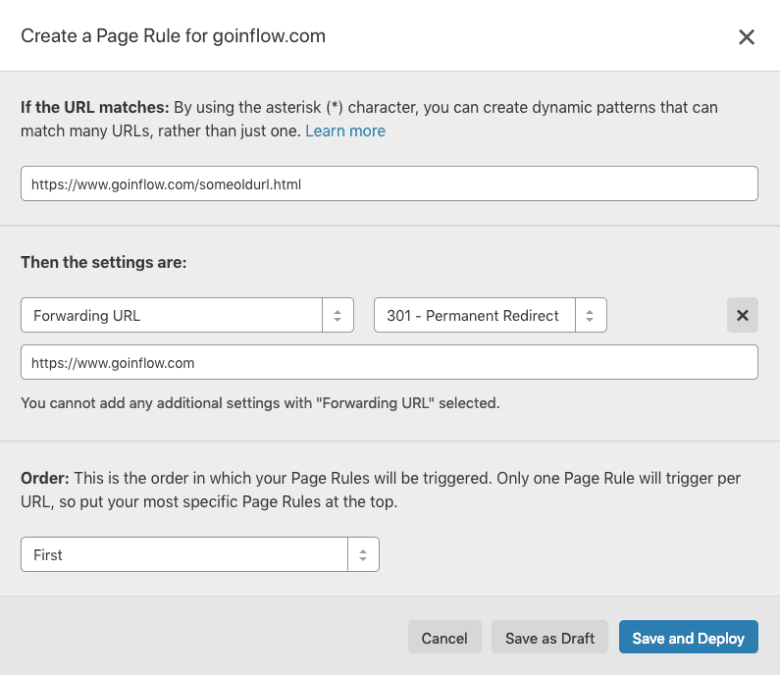 At Inflow, we’ll often use this for client pages that are ranking at the bottom of page 1 or near the top of page 2. We call these “Page 2 Opportunities”. In those cases, if strategic internal linking can move the page in question up a few spots, that can exponentially increase the amount of click throughs it’s getting – in particular if it makes to the top half of page 1 (where the vast majorities of clicks go). Well, internal links can carry value, similar to how external links can carry value. In particular, we’ve found that keyword rich anchor text can send a very clear signal to a crawler about what it can expect when it goes from page A to page B (but don’t overdo it). We’ve found his can often boost rankings of page B.
We’ve found that sending those keyword rich signals with a handful of internal links can often be enough to boost a certain page up the rankings a few spots, without building any external links. Another way to apply this tactic and give certain pages a boost is by having those links come from your best-performing pages. Although, do keep in mind that this tactic can only be used a handful of times as the more links you add, the more diluted their effect becomes. Finally, in addition to using internal link building strategically to improve the rankings of certain pages, there are times where we have revamped the entire site architecture to improve internal linking on a site-wide basis. This is, one could say, a way to do internal link building “at scale”. We only do this in certain situations where we think the resource investment in fixing this will pay off. If you’ve curious if your site could use this, contact us, and we’ll give you our honest opinion. Link building is still a very important aspect of SEO for eCommerce brands. However, in our experience, after a good foundation of backlinks have been built, opportunities arise to get a higher ROI on your time and resources by deploying other SEO tactics besides link building. Where this cutoff happens is dependent on each specific site and how much other “low hanging fruit” they have in terms of under performing pages, strategic content opportunities and more. But we encourage all eCommerce marketing teams to take a hard look at other factors that can improve SEO results besides backlinks. You may find many opportunities you otherwise could have missed. Home Science Tools migrated from Magento to BigCommerce. Here’s what happened to their SEO after the migration, and how they’ve improved it tremendously since.